Ok So I know I have been a terrible blogger recently but interning and school and training.. you just forget sometimes… but its ok because I am BACK! 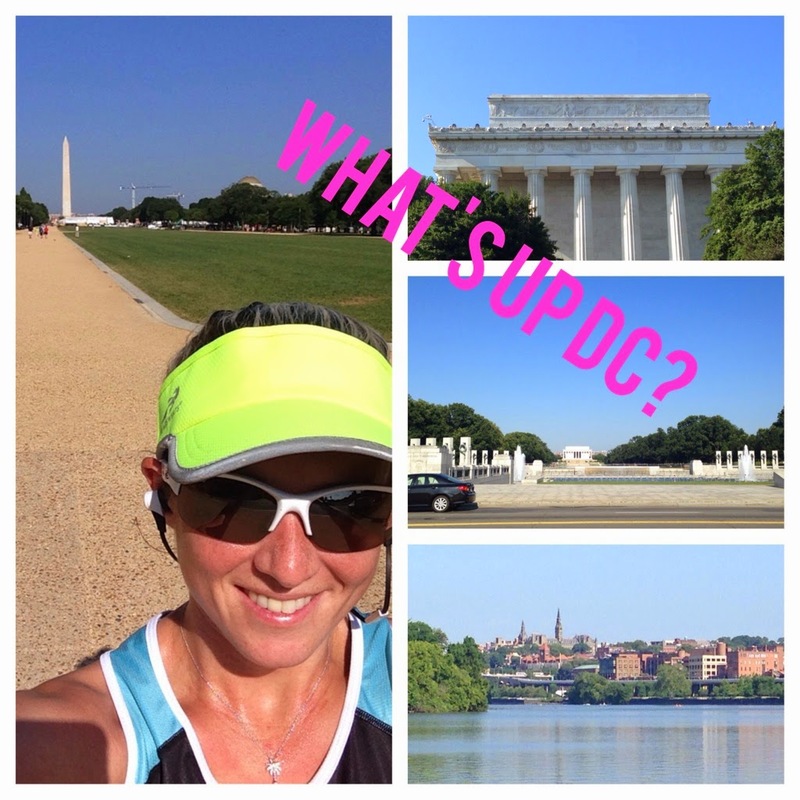 It has been a hot summer in DC and getting in workouts has been focused on when it will be the coolest temps in the day and, of course, those lovely thunderstorms. So I have recently been training for the NYC Triathlon which I am super stoked about doing. Swimming in the Hudson, biking on the parkway and running through central park… AMAZING. Recently Coach Tony has changed up my swimming training because I have not been getting faster and I need to work on it more. I have also found new bike routes in and around DC which I am excited about because it is not the usual Hains point or mount Vernon trail. Running I have tried to up my distances because I want to be faster off the bike and for some reason I have been feeling sluggish. So with this week leading up I will be focusing on taking my time and trying to “rest” my legs with Compex. I have also tried to up my strength training once again and am always looking for new workouts so I recently started trying out Tone It Up… Hopefully, it will help me on my quest for a PR at Ironman Augusta 70.3. I have also been focused on planning out 2015 race schedule which will be jam-packed with another marathon and an IRONMAN to finish off the year. I still can’t believe it is almost august. I feel like this year and this summer has flown by! Need to get in my last couple months of summer before it starts to get cold again.